This page of National Institute of Open Schooling belongs to latest govt jobs. 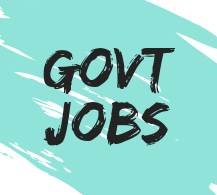 This sarkari naukri of NIOS Recruitment 2018 is for the 44 vacancy of EDP Supervisor and Junior Assistant. All the information about these post is given below. In this section of nios.ac.in , we will share the information in two (2) serial numbers. In which Post name, total vacancies, pay scale, education qualification & age limit are given below. Any bachelor degree + Post Graduate Diploma ( Computer Application / Hardware Engineering / equivalent). 3 Years experience (Programming and System Development). Age limit → 37 years. Intermediate / Senior Secondary / 12th Pass. Computer typing of approx 6000 key depression per hour. Age limit → 27 years. Hi friends, for the betterment of students we will share a best book of Current Affairs 2018 which is basically a "Mega Year Book 2018". This book helps the students to score good marks in various govt jobs exam. Application for the National Institute of Open Schooling (NIOS) vacancy can be sent to any of the centres :– Candidate must send the application form given in notification link to any of the regional centres.